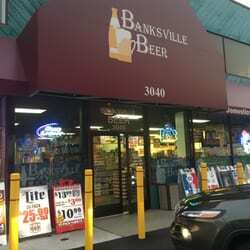 Banksville Beer is your reliable, fully stocked beer retailer proudly serving the Pittsburgh area. With fast, friendly service, a great selection and low prices, there is no reason to go anywhere else. Our customers’ satisfaction is important to us, which is why if we don’t have what you are looking for, we can place a special order!